Leawood, Ks — Feb. 9, 2017 — Agspring announces that subsidiary Big River Rice & Grain, located in the Mississippi River delta region of Louisiana and Arkansas, has added Justin Towery, a veteran in grains and oilseeds, as vice president of merchandising. Also being announced is the retirement of Ron Miller, vice president, business development, who has been a key member of the region’s grain business for more than four decades. Towery adds significant depth to the Big River merchandising team headquartered in Pioneer, La., through his years of experience in domestic and export trading and logistics via barge, rail and truck. Towery will lead grain, rice and oilseed merchandising strategy and execution for the company through assuring a competitive price and accessible markets for area producers. Towery joins Vice President of Operations Steve Henderson on the local Big River management team. 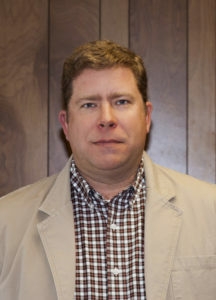 Towery’s industry experience includes soybean processing and grain merchandising work with Bunge and Bayou Grain & Chemical Corporation and four years as owner/partner of Towery Farms in Arkansas, which produces row crops and rice. Miller has been in the grain business since 1976, when he became general manager of Bayou Grain, a small grain company in southeast Arkansas. Under his leadership, Bayou Grain thrived and in 2013 became part of Big River Rice & Grain. His experience included work in all areas of the grain business, from operations to merchandising. Ron remains active in the community, where he has served on many boards over the years. He now serves on the Hamburg Schools Foundation Board and is president of Mainline Health Systems.